Acres USA publishes one of the most authoritative magazines, and sponsors an annual conference, addressing the educational needs of ecologically sound agricultural practitioners. They present tools for both agronomic and economic success. 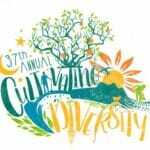 Many of this year’s eminently qualified speakers are long-time Cornucopia members. The goal for the Acres U.S.A. 2018 Eco-Ag Conference & Trade Show is simple and clear ─ that this is the most useful conference on agriculture you’ve ever attended. 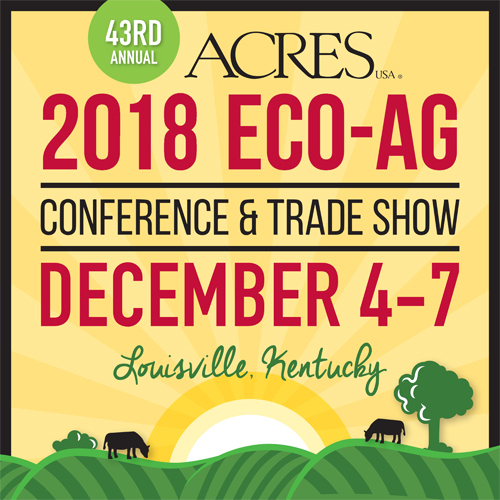 This year, the event will be held December 4 through 7 in Louisville, Kentucky, and will feature speakers like Joel Salatin, Gabe Brown, Daniela Ibarra-Howell, Eliot Coleman, and more. It is where you will find farmers and consultants from every facet of eco-farming who come together to share their experience and expertise. Attend the non-stop event, learn the latest in cutting-edge technology and methods, and return home ready to make your farming operation the best it can be.